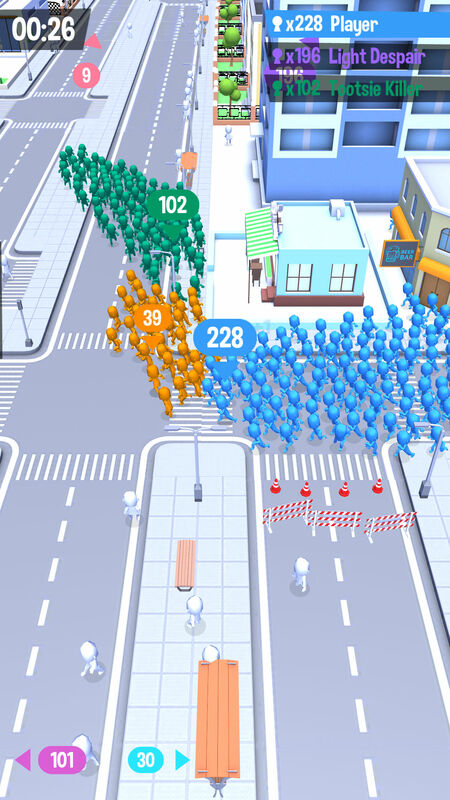 CrowdCity.io is a new multiplayer game that stands out among countless similar games thanks to its unique game mechanics. 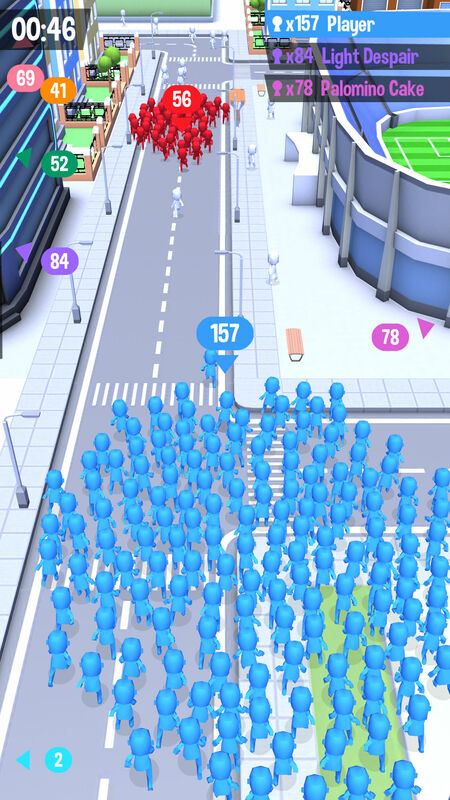 Create the biggest crowd and capture the whole city! You start off as a lonely person running around an urban area and looking for other people to join you. Obviously, your character is quite charismatic: when you encounter a neutral NPC, you quickly convince him to become a member of your group. 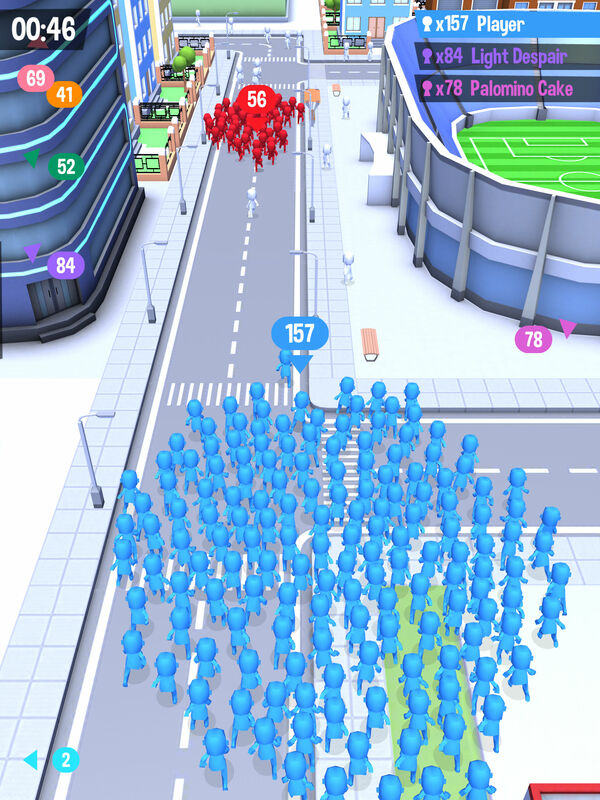 The goal is to create the largest crowd on the map in a short time, surpassing the number of all other players. CrowdCity.io is a game of uniting people. 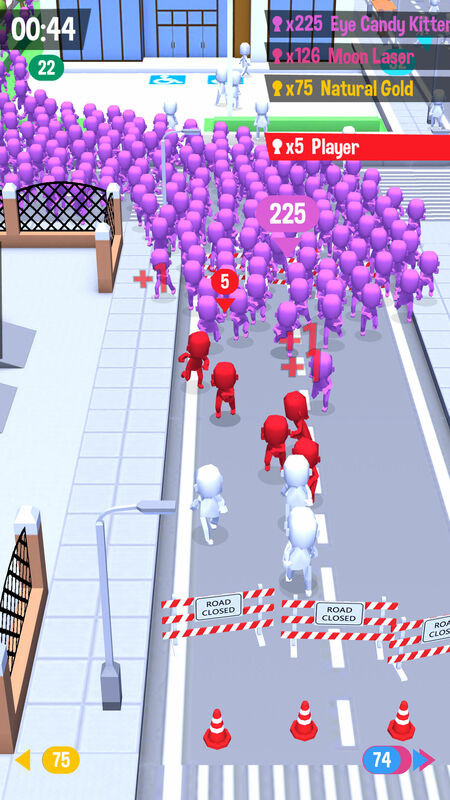 To recruit a new member into your small army, all you need to do is go to a random pedestrian of a neutral color. They will automatically join you and become the same color as you. The more people you encounter, the bigger your crowd becomes, but you should always know about other players: if there are more members in their group, your group will be completely absorbed and you will have to start from scratch. The good news is that you can do the same if you outnumber your opponent. 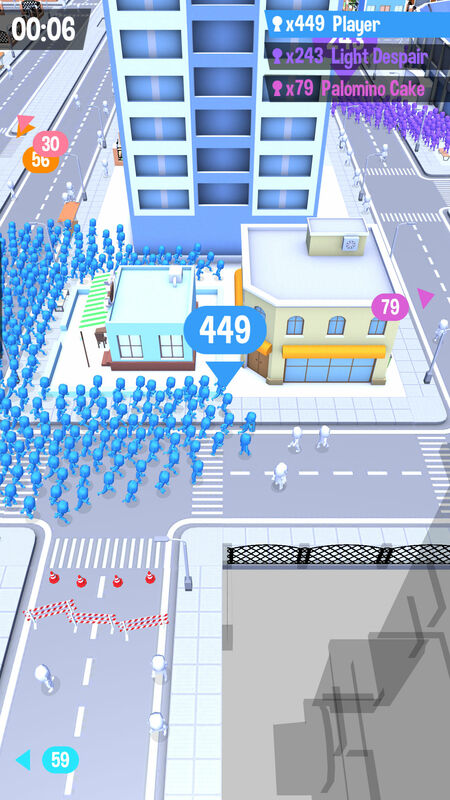 Play CrowdCity.io, become the leader that people are looking for, and collect the largest army on the map. Prove that your crowd is the strongest in the city!